Door and Window Market (DWM) magazine has announced that Roto North America’s Angel Ventlock WOCD (window opening control device) has won a Reader’s Choice Award for 2016. 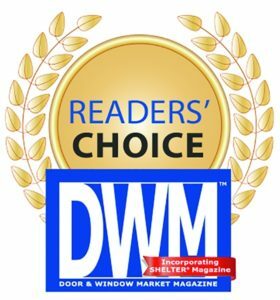 DWM Readers’ Choice Award winners are chosen through a survey of the publication’s readers who vote for their favorite products in several categories. The survey includes all of the products from DWM’s regular Introducing (products) section, the annual New Products Guide, as well as products advertised throughout the year. The Angel Ventlock WOCD, which won in the Window Hardware category, will be featured in the December 2016-January 2017 issue. The Angel Ventlock® WOCDs (Window Opening Control Devices) conform to all ASTM-F2090-2010 guidelines and allow for quick emergency escape and rescue. Roto North America is comprised of Roto Frank of America and Roto Fasco Canada. Founded in 1979, Roto Frank of America is a Chester, Connecticut-based manufacturer of window and door hardware. The company, which offers solutions for North American and European hardware applications, has an extensive product line including its renowned X-DRIVE™ casement and awning hardware, sash locks and WOCD, sliding patio, NT Tilt&Turn, patio fold, and hinged patio, among others. Roto Fasco Canada, located in Mississauga, Ontario, manufactures a variety of window and patio door hardware, sash locks, accessories, and provides custom zinc die-castings capabilities.